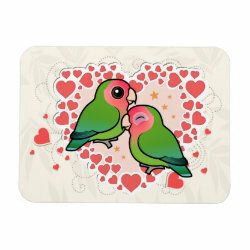 Is there anything cuter than lovebirds in love? 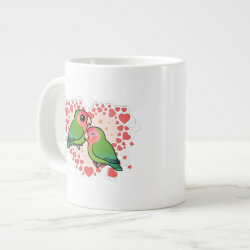 I don't think so! Here two adorable cartoon Rosy-faced (or Peach-faced) Lovebirds snuggle together with a heart explosion in the background. 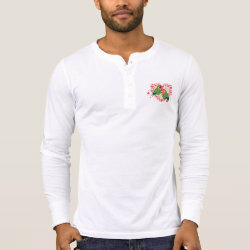 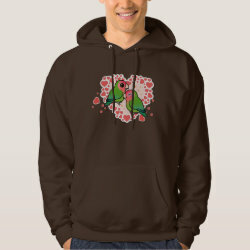 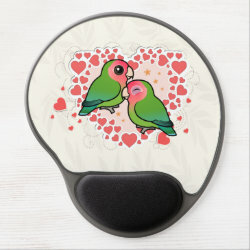 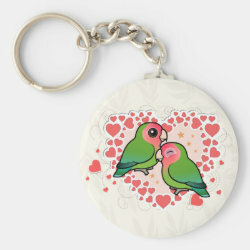 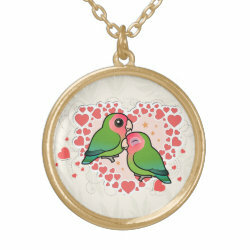 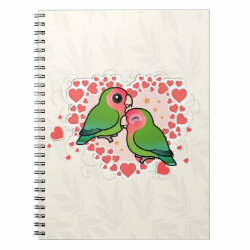 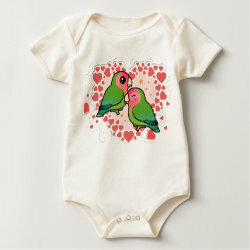 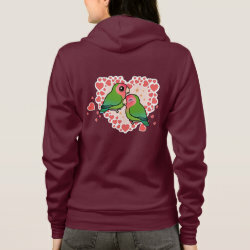 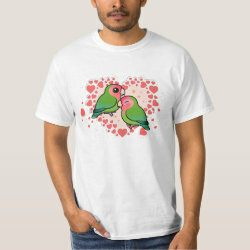 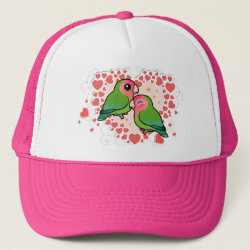 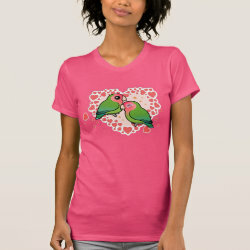 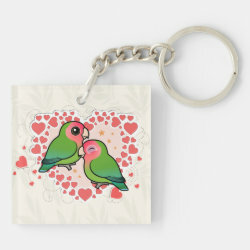 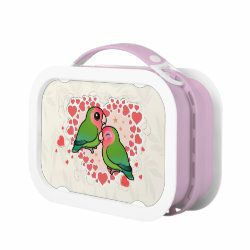 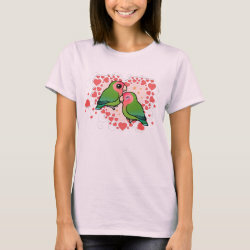 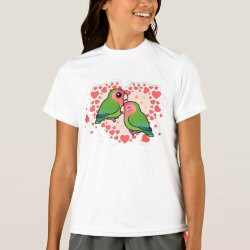 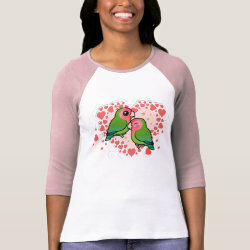 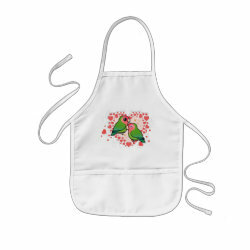 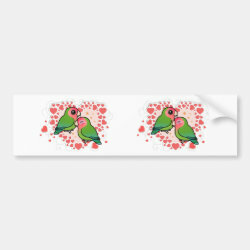 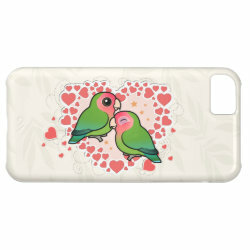 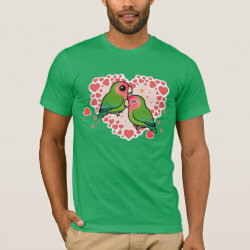 This original design is perfect for lovebird lovers!